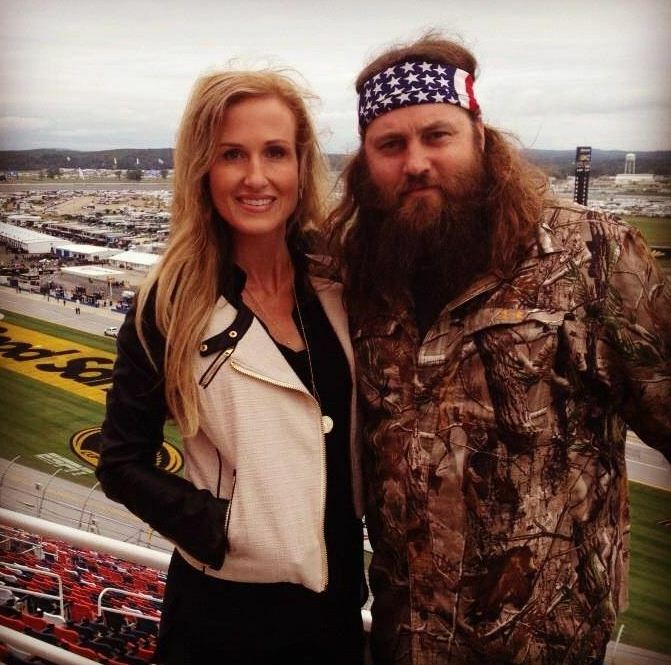 Home Tags Posts tagged with "korie robertson"
Duck Dynasty’s Korie Robertson claims that she and her family were targeted by white supremacists over their adopted biracial son. Korie Robertson and her husband, Willie Robertson, adopted their son Will when he was just five weeks old. They have become proponents of adoption and previously told People magazine that their son being biracial hasn’t come up in the way they raise him, only in how the public looks at them. “Here’s the thing: when we look at him, we don’t see an adopted kid. It doesn’t even cross our minds,” Willie Robertson told People magazine. 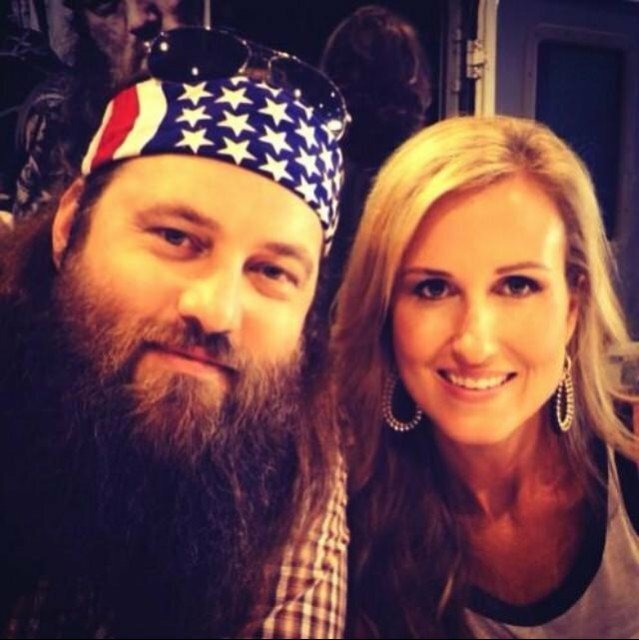 Are Willie and Korie Robertson planning to leave Duck Dynasty? 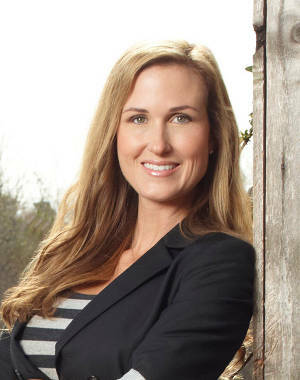 Korie Robertson has become an outspoken voice for racial healing in the US. She first made a name for herself on the topic of race relations after an emotional interview with CNN in which she called for President Donald Trump to call out white supremacists in the wake of the Charlottesville protests. Korie Robertson furthered this narrative while speaking to CBN News where she revealed that, as her family’s star rose, so too did the danger from racism. Duck Dynasty’s Rebecca Robertson celebrates her 25th birthday on Friday, October 17. Rebecca came to the family as an exchange student from Taiwan and was eventually taken in as a foster child by Willie and Korie Robertson, becoming the eldest of their five children. She spent a lot of her childhood in Taipei, but moved back to the US when she was 16 years old. Rebecca Robertson graduated from Louisiana State University with a degree in Apparel Design in 2012. She worked as a wardrobe stylist in Los Angeles before opening up a clothing boutique called Duck & Dressing in Louisiana. Rebecca Robertson joined the family on the fifth season of Duck Dynasty. Duck Dynasty’s John Luke Robertson celebrated his 19th birthday with his family on October 11. John Luke Robertson is the eldest son of the five children of Korie and Willie, the latter of which is one of Phil and Miss Kay’s four children. At his birthday party with the family, John Luke Robertson proposed to his girlfriend Mary Kate McEacharn. 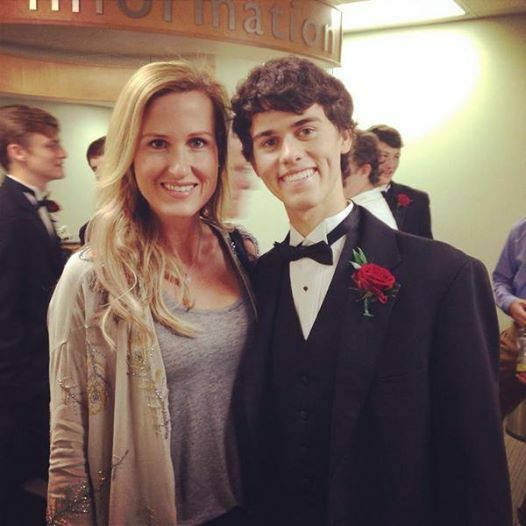 His mother, Korie Robertson, tweeted her congratulations to their son over the engagement news. “Yes, it’s true @John316Luke923 proposed to this beauty @MaryKateMcE last night!” she said. “Happy Birthday to the boy I’m going to marry,” Mary Kate McEacharn wrote. Korie and Willie Robertson wed in 1992 when she was 18 and he was 19. The Robertson women accepted the ALS Ice Bucket Challange after being nominated by the Junk Gypsy Company. 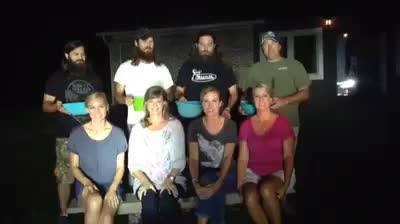 Duck Dynasty’s Korie, Missy, Jessica and Lisa Robertson took the challenge to raise awareness of ALS with the help of their husbands Willie, Jase, Jep and Alan. Hundreds of celebrities and sports stars across the US are getting soaked in the name of a good cause. The Ice Bucket Challenge is aimed at helping strike out ALS (Amyotrophic lateral sclerosis), commonly known as Lou Gehrig’s disease. People who participate are getting doused with ice water and then challenge other to do the same to raise awareness for the disease. 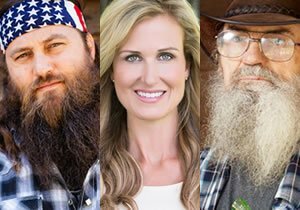 Duck Dynasty stars Willie, Korie, Uncle Si and Al Robertson will be in Columbus, Indiana, on August 23. They will meet fans at the Columbus North Gym and will talk about their family, their business and how their Faith has laid the foundation in these areas. 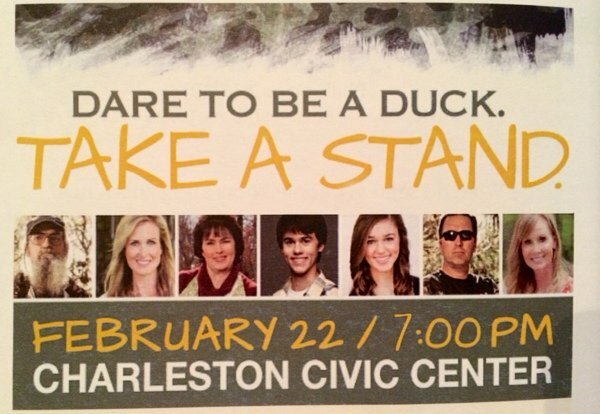 Willie, Korie, Si and Alan Robertson will answer audience questions and comments. Time: August 23, 2014 7:00 pm. Doors open at 6:00 pm. Duck Dynasty’s Willie, Korie and Si Robertson are the latest addition to this year’s Iowa State Fair’s Grandstand lineup on August 10. Tickets for that show, A Conversation with the Robertsons, are $32, according to the Iowa fair’s website. The trio will speak about their family, TV series, merchandising empire and more. The lineup doesn’t include Duck Commander founder Phil Robertson, who was the center of controversy late last year following anti-gay comments in a GQ interview. Tickets for all Grandstand concerts and events went on sale on April 12 through all Ticketmaster outlets, online at ticketmaster.com or by phone at 800.745.3000. All concert seats are reserved, all track events are general admission. Convenience charges apply to all tickets. The Iowa State Fair Ticket Office will open July 7 for walk-up orders only (assuming tickets remain). Grandstand tickets do not include admission to the Fair. Fair admission must be purchased separately. Duck Dynasty’s Willie and Korie Robertson will host a Q&A session at the grandstand of the 159th Bloomsburg Fair on September 21, officials announced. ZZ Top – whose song Sharp Dressed Man coincidentally is the Duck Dynasty theme song – will perform September 25. 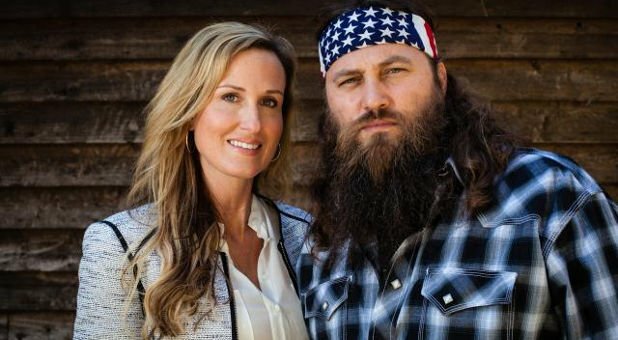 Willie and Korie Robertson will discuss their show, their daily lives and will also take questions from fans, said Carey Howell, superintendent of the grandstand. The talk format is something “more and more fairs are looking into, rather than just having bands,” he said. Tickets will most likely go on sale in late July or early August, Carey Howell said. Pricing has yet to be determined. ZZ Top tickets will also go on sale around the same time. The Robertsons have been doing shows at various fairs and are scheduled to make a similar appearance at the Iowa State Fair in August, with fellow Uncle Si Robertson. Tickets for that show, A Conversation with the Robertsons, are $32, according to the Iowa fair’s website. Duck Dynasty’s Willie and Korie Robertson returned to Washington, D.C., on Saturday for this year’s White House Correspondents’ Dinner. 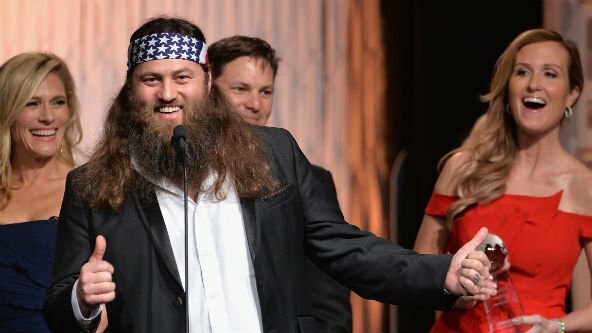 Willie and Korie Robertson were in attendance at last year’s dinner, with Willie sporting a black and white bandana. The Duck Commander CEO continued the tradition wearing a USO logo bandana on Saturday. Duck Commander CEO Willie Robertson celebrated his 42nd birthday on Tuesday, April 22. Duck Dynasty’s Willie Jess Robertson (born April 22, 1972) is the third son of Phil and Miss Kay Robertson. He used his business degree from Harding University to take Duck Commander from a family business to a multi-million dollar empire. Willie Robertson is married to Korie, and they have five children. 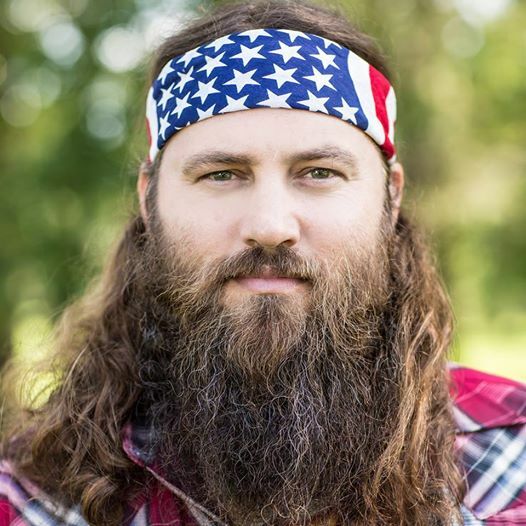 Willie Robertson does the majority of the narration on Duck Dynasty reality show and is often seen wearing an American flag bandana. 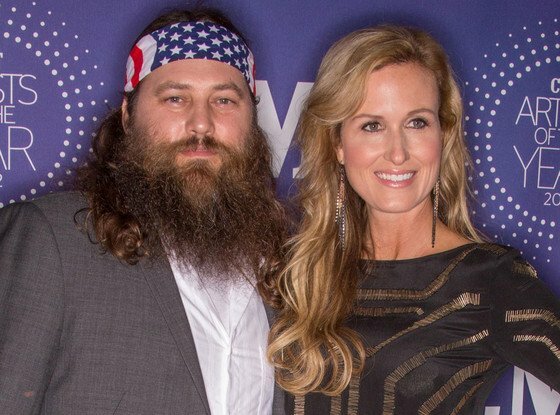 According to new reports, Willie and Korie Robertson are planning to leave Duck Dynasty show. A source told the National Enquirer that Willie and Korie Robertson are headed in different directions. “It looks like big trouble is brewing in their marriage,” the source said. Willie and Korie Robertson have been married for 22 years. Although there is no indication that divorce is imminent, a split would put their $30 million fortune at risk. Korie Robertson, 40, reportedly wants to move to Los Angeles where she can turn her four kids into stars, while her husband wants to stay in backwoods Louisiana and may want to kick off a career in politics, the source said. Korie is also said to believe that their 16-year-old daughter Sadie will find it easier to expand her budding modeling career in Los Angeles. Although Willie denied this summer that he planned to go into politics, “Willie got a taste of the big political arena when he attended the president’s recent State of the Union Address as a guest of Louisiana Rep. Vance McAllister,” said the source. Willie and Korie Robertson, who have their own fortunes and also own a slice of the family’s lucrative duck call business empire, would suddenly find an estimated $30 million in play if they land in divorce court, according to an insider. 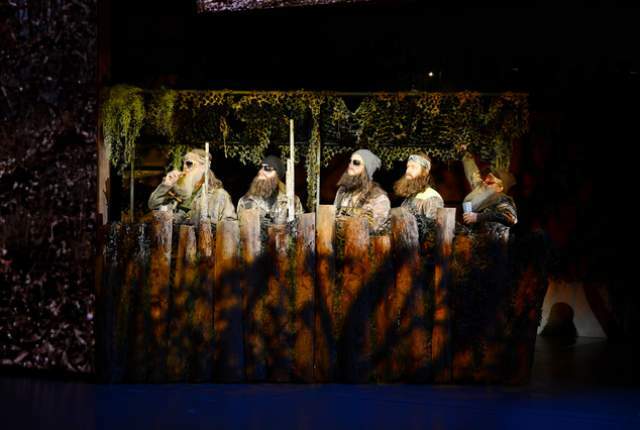 Six stars of Duck Dynasty show were out on the town in Charleston, West Virginia, Saturday night for the Dare to be a Duck event to help raise money for a youth-led ministry program. Si Robertson, Miss Kay Robertson, Korie Robertson, Alan Robertson, Sadie Robertson, John Luke Robertson and special guest Chrys Howard, the mother of Korie and grandmother of Sadie and John Luke, and her husband Alan featured the event. The night was sponsored by Youth Commission ministries. The club encourages kids to take a stand for their beliefs, just like the famous and quirky family they watch every week. Dennis Williams hopes to get more kids involved and let them know that they’re not alone. The crowd welcomed Duck Dynasty stars with open arms, and couldn’t wait to meet in person the popular personalities of the hit show. The 22nd Annual Movieguide Awards, held on February 7 at the Universal Hilton Hotel in Los Angeles, welcomed Duck Dynasty’s stars Willie and Korie Robertson into the fold. The Movieguide Faith & Values Awards celebrates productions focusing on American patriotism, Christian beliefs and the traditional family. “We’re excited to attend an awards show that honors and recognizes actors, directors, writers, producers and executives providing a positive message in film and programming,” Korie Robertson told FOX411. Gala founder Dr. Ted Baehr said the Movieguide Awards are equally as thrilled to have the Robertsons as guests and nominees. “I think they were pretty beaten down by the media following Phil’s interview last year, and went through a period of extreme angst,” Ted Baehr said. Duck Dynasty reality show was the winner of Faith & Freedom Award – Television for the episode Till Duck Do Us Part while Willie Robertson was honored with Grace Award – Television, Actor for Last Man Standing. Willie and Korie Robertson together presented an award for the Best Family Movie. The 22nd Annual Movieguide Faith &Values Awards airs March 1 and 2 on the Reelz Channel. Duck Dynasty ‘s Korie Robertson and and her mother Chrys Howard will share the family wisdom with the coming release of Faith Commander: Living Five Values from the Parables of Jesus, a five-week church curriculum. The book and DVD set will be released this coming May. The set is targeted to adults and children of all ages, as the curriculum mainly focuses on five themes found in the parables of Jesus. Those themes are as follows: faith, forgiveness, obedience, prayer and kindness, according to a press release from Christian book publisher Zondervan. 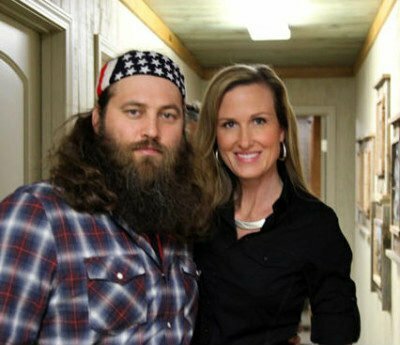 Korie Robertson said that Faith Commander takes common themes depicted on Duck Dynasty and shows how those motifs operate within the famed reality show family. Considering the Robertsons’ close-knit nature, she said that their faith is key to keeping everyone together. “This faith is behind who we are as a family and what keeps us together and strong,” Korie Robertson said. Chrys Howard added that she believes the parables of Jesus aren’t always studied as they should be, claiming that the book and DVD set will include stories from the Robertson clan intended to help churches explain the parables to their congregations. “We really believe that this is going to benefit the entire church family – kids, adults, and teens,” Chrys Howard said. Faith Commander studies for adults and teens will be available May 6 and the church-wide curriculum will be on sale May 20. The full church kit will include books, discussions guides, DVDs and other resources for adults and teens alike. Duck Dynasty’s Korie Robertson and her foster daughter Rebecca recently launched a clothing boutique together called Duck & Dressing. The store’s online website will be launching in Spring this year. Rebecca Robertson recently joined the Duck Dynasty cast for the fifth season. Duck Dynasty Season 5 premieres on January 15th at 10/9c on A&E. Who is Rebecca Robertson from Duck Dynasty? A new family member has joined Duck Dynasty reality for this fifth season: Korie and Willie Robertson’s adopted daughter, Rebecca. Rebecca Robertson, 24, has remained off-screen up until now, but she’s decided to step in front of cameras this year. Becca came to the family as an exchange student from Taiwan, and eventually, Willie and Korie Robertson took her in full-time as a foster child. Now, Rebecca and Korie are extremely close and have even opened a boutique together in Monroe, Louisiana, called Duck & Dressing. Duck Dynasty reality show is adding another face to the Robertson clan in 2014, Willie and Korie’s foster daughter Rebecca. 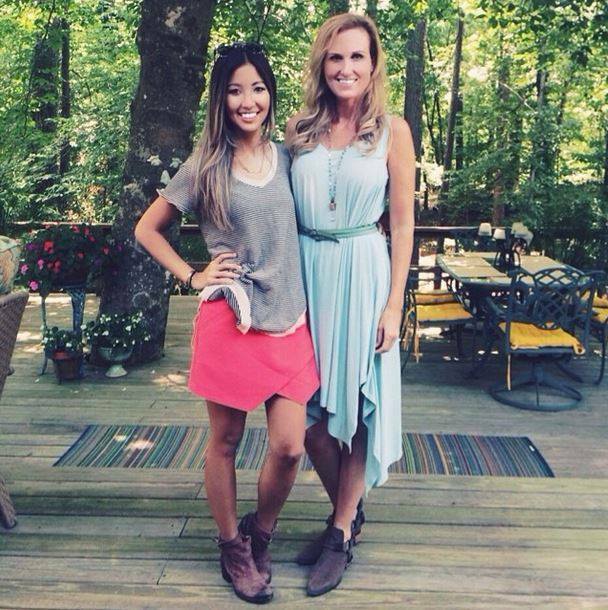 The exchange student from Taiwan eventually became a foster child of the Robertsons and Korie has shared news about Rebecca on Twitter way before the show was successful. “Who’s ready for January 15th? Premiere party?! You finally get to meet our sweet Rebecca!” tweeted Jessica Robertson from her official Twitter account on Friday. A&E network also hinted there was a new cast member as the hype of the show starts. Duck Dynasty Facebook page revealed a sneak peek of the new episodes of the popular show. Duck Dynasty’s Willie and Korie Robertson will be in Arkansas on January 18 for an evening of faith, family, and ducks to raise support for the Spark of Life Grief Recovery Retreats. Duck Dynasty’s Willie Robertson chose not to quack back during his appearance Tuesday night on Fox News’s All-American New Year special. In one of his first chances to comment on the controversy surrounding his father and co-star Phil Robertson, Willie Robertson had only kind words for the A&E network and New Year’s wishes for the nation. “We’re just glad to be back to work, and A&E and us are fine,” Willie Robertson said in a live appearance with his wife Korie Robertson from Steamboat Springs, Colorado. Hosts Bill Hemmer and Elizabeth Hasselbeck gave Willie Robertson several chances to address the firestorm surrounding the suspension of his father over anti-gay comments, but without quite ducking the question, the rsality star chose not to take the bait either. “We’re looking forward to getting back to making some funny shows. It’s a New Year so we’re ready to break in a New Year and start it all over again,” Willie Robertson said. Asked her thoughts on the suspension by Hasselbeck, Korie Robertson took the same conciliatory tone. “Hey, I’m just glad the family’s all together, the best thing about the show is we get to do it as a family,” she said. A&E reinstated Phil Robertson on Friday, nine days after suspending him over the anti-gay comments made to GQ magazine. Phil Robertson’s suspension sparked brought out legions of defenders who felt he was being censored by A&E. 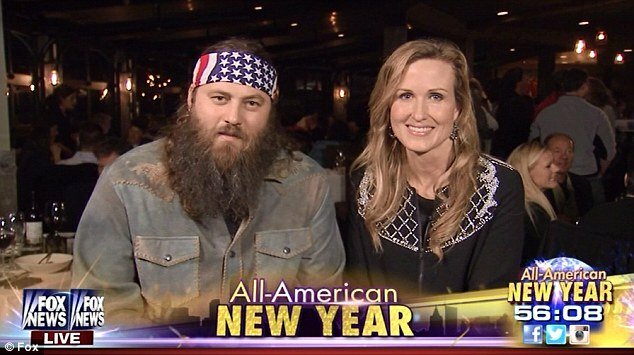 Duck Dynasty’s Willie and Korie Robertson will appear on Fox’s New Year’s Eve special to talk about Phil Robertson. Willie and Korie Robertson will appear live from Steamboat Springs, Colorado, to discuss the recent nine-day suspension of Phil Robertson following his anti-gay comments in GQ magazine. A&E Networks reinstated Phil Robertson, 67, on Friday. The Fox News All-American New Year will be hosted by Bill Hemmer and Elisabeth Hasselbeck from 9 p.m. to 12:30 a.m. E.T.